Category Archives for "Free eBooks"
Have you ever wanted a dog so behaved and well-trained that people compliment on his awesomeness? Friends and family started to compliment me on how well-behaved my dog was, and how much they loved her because of all the amazing tricks she could now do. And once I taught my dog how to play chess (yes, I taught her that! ), I just knew that this training method was the most powerful thing on earth. And this is why I wrote this eBook that I’m giving away for free – the Power of Positive Reinforcements. 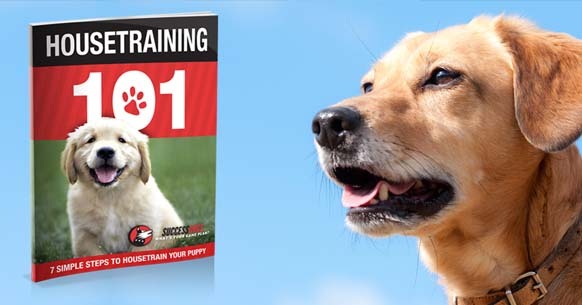 Training your dog to come (page 26) – This is the MOST important skill you can ever teach your dog … think about it, what would happen if your dog got loose near a busy street? You need a way to get your dog to come back to you! Walking on a loose leash (page 34) – It is a well-known fact that lack of exercise leads to destructive behaviors. And the easiest way to exercise your dog is to WALK your dog … but who wants to go on a walk while getting dragged down the road? Avoiding food possessiveness (page 39) – Perhaps you’ve already noticed that your dog doesn’t like having you near his food bowl … but did you know that there’s something you can do about it? In fact, you can even get your dog to LOVE you being near it. Grooming your dog (page 43) – Brushing and taking care of your dog’s coat is extremely important – but how many dogs hate it? The simple exercises in this section will help solve that problem forever! 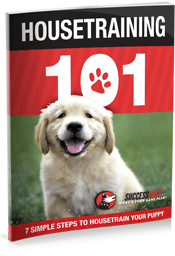 Obedience training (page 50) – Want your dog to listen to your “Sit”, “Down” or “Stand” command? Simply follow the step-by-step instruction in this chapter and you’ll get your very own Lassie! Teaching your dog tricks (page 58) – What would the world be without dog tricks? They entertain us and dogs absolutely LOVE doing them … so why not take a few minutes of your day and teach your dog some of the best dog tricks? And this is just a small sample of what is inside the eBook. 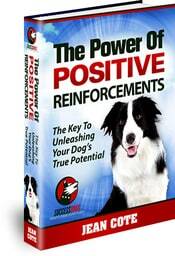 Again, I wrote this eBook because I wanted to spread the word about Positive Reinforcement training and how much of a difference it can make in your dog’s life. If you enjoyed reading this eBook, please share it with your friends by clicking the Facebook Like button located on the left hand side of the page. 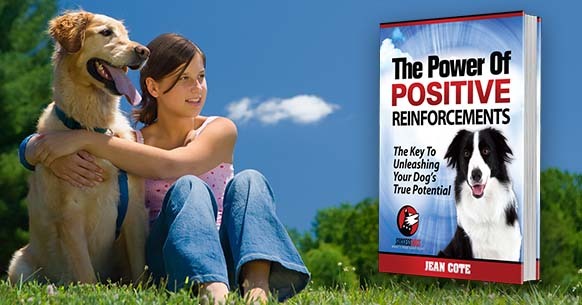 The more we share this eBook, the more people will be able to train their dog using positive, force-free and reward-based training methods!